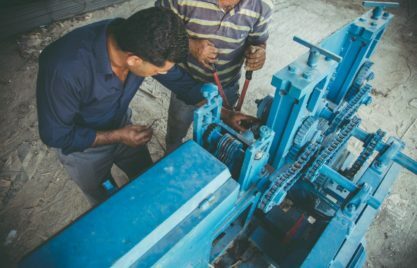 The GIZ programme for the “Promotion of the Microfinance Sector in the MENA Region” (MFMR) aims to improve the framework conditions for broader access to adequate financial services for the low-income population. It assists policymakers, regulators and supervisors in Egypt, Jordan and the Palestinian Territories in financial inclusion policies, in microfinance regulation and supervision, and in the regional knowledge exchange and peer-learning. Why is advancing women’s financial inclusion in the Arab World a priority for the GIZ Regional Program for the Promotion of the Microfinance Sector in the MENA Region/MFMR? Advancing women’s financial inclusion is a critical aspect in achieving greater overall financial inclusion. Women play a central role in family finances, they face a range of challenges that vary across countries, and they are often more financially excluded than men. In addition, many global efforts aimed at increasing financial inclusion of women are limited to specific regions or countries leaving many women in the Arab region – where financial inclusion is low for both men and women -out of their reach. The GIZ program ‘Promotion of the Microfinance Sector in the MENA Region (MFMR)’ is addressing some of these issues by promoting policy dialogue on financial sector development. The program works closely with partner institutions to raise awareness among policymakers and relevant stakeholders about women’s distinct financial needs in the Arab region and draws on lessons learnt from successful experiences worldwide. 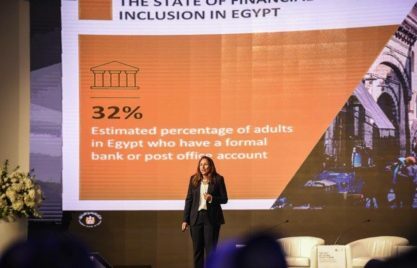 What were the main objectives of the High Level Policy Forum on Advancing Women’s Financial Inclusion in the Arab World and what did it actually achieve? Since 2015, GIZ has been working on advancing women’s financial inclusion in the region through various small initiatives. The policy forum this year was dedicated to the topic and was able to attract over 170 participants representing policymakers from the Arab region and from around the world in order to share a common understanding about the role that financial regulators can play in advancing financial inclusion for women. The Forum has also facilitated knowledge exchange and peer-to-peer learning on how to develop suitable innovative financial inclusion policies and strategies that would help in closing the financial inclusion gender gap. A main highlight of the event was the announcement of the launch of the Financial Inclusion Initiative for the Arab Region by the Arab Monetary Fund (AMF), the Alliance for Financial Inclusion (AFI), and GIZ. This initiative is expected to rally all countries in the region to reinforce their commitments and to sustain peer learning. Moreover, the partnership between the three flagship organizations on this initiative will ensure much needed support for the formulation and implementation of a regional Action Plan for Women Financial Inclusion in line with the Denarau Action Plan, the AFI Network Commitment to Gender and Women’s Financial Inclusion, endorsed by the members of the 2016 AFI Global Policy Forum. What are the main barriers faced by women in the Arab region that hinder their financial inclusion? While there are obviously great differences when it comes to the status of women in Arab countries, from Tunisia to Yemen and Lebanon to Saudi Arabia, all countries share some of the same impediments to gender equality. MENA countries are consistently at the bottom of the Global Gender Gap Report of the World Economic Forum, which measures gender gaps in 136 countries around the world since 2006 in the areas of economic participation and opportunities, educational attainment, health and survival, and political empowerment. According to the 2014 Global Findex regional data*, financial inclusion is low for both men and women in the region but the gender gap remains significant where men are twice as likely to have an account as women. This is mainly due not only to customs and traditions but also to unequal laws in many countries. Social norms, legal barriers, and lack of awareness are the main demand-side barriers that hinder potential female entrepreneurs from accessing financial services and starting their own businesses. On the supply side, financial institutions do not see women as an important market segment. As a result, they do not offer services that are accessible, appropriate, or affordable. In your opinion, what is needed in order to overcome such barriers? A lot of work is needed at all levels in the region in order to bring about the needed changes that would increase access to financial services for all, and for women in particular. The cases covered in the Advancing African Women’s Financial Inclusion Policy Brief show that gender disaggregated financial inclusion data are key for both policy analysis and market research for the development of effective inclusive strategies as well as services for both men and women. We all know by now that the “one size fits all” solutions do not really work. We need to better understand the various women segments in order to be able to design appropriate interventions that recognize that women at different socioeconomic levels and at different life stages require different solutions. For example, a young educated single female has different aspirations and consequently different financial needs than an illiterate middle-aged female head of household. In addition to the design of tailored products and services, providers also need to think of innovative delivery channels and the promise of digital financial services as an answer to the social norms stifling women’s mobility and engagement in some geographical areas. Moreover, by enhancing women’s active access to and usage of financial services will not only allow them to become economically more active but may lead to job creation and economic development. The business case for women’s financial inclusion thus needs to be clearly articulated and communicated in order to be able to break one barrier after the other. Learning from your experience to date and from global good practices, how do you see the main roles and responsibilities for the key stakeholders at each level of the financial inclusion ecosystem (policymakers, funders & investors, service providers, and clients) in order to advance greater financial inclusion for women in the region? An enabling environment is key for achieving greater financial inclusion and it requires the concerted efforts of all stakeholders. Policymakers and regulators need to take the lead to drive the process of increasing financial inclusion for women by creating and cultivating an enabling legal and regulatory environment. They also need to stir efforts for more innovative delivery channels and infrastructure to make financial products and services widely available and convenient for women to access and use. Financial services providers need to introduce tailored financial products, especially those that target women in lower income groups. We’ve listened during the forum to two success stories by BLC Bank of Lebanon and Bank Al Etihad of Jordan who presented their financial products targeting women clients. BLC Bank began looking at the Women’s Market opportunity in 2010 and recognized its potential not just as a growth market but also as a competitive differentiator. BLC Bank joined the Global Banking Alliance for Women (GBA) and launched its “We Women’s Economic Empowerment Initiative”. Bank Al Etihad showcased its Women Banking program “Shorouq”, which is a comprehensive set of banking solutions as well as financial and non-financial services designed for women. Bank Al Etihad also launched the Shorouq website as a platform for women to interact, network and learn. Development partners play the role of the convener to share the various experiences, support peer-to-peer learning on all levels (policy and retail) as well as product development and research. Across the region, many initiatives are underway. 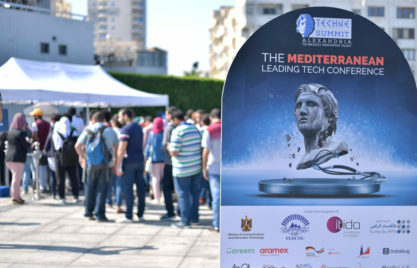 In addition to the regional initiative referenced above, at the country level, national financial inclusion and financial literacy strategies are underway, specialized task forces on financial inclusion are being formed in order to ensure better coordination and flow of information, and work on the collection of gender disaggregated data is starting soon in Egypt, Jordan, and other countries in the region. Finally, it is important to involve women in policy development and decision-making processes, especially as it relates to financial inclusion so that appropriate needs and solutions are identified. * Findex data for the Middle East for 2014 only includes the following countries: Egypt, Iraq, Jordan, Lebanon, West Bank and Gaza, and Yemen.